The flagship phone of Samsung called Galaxy S8 and Galaxy S8 Plus is in town and it is larger than life. Both phones are awesome and packed with features and has some of the most awesome designing that will make you feel stylish and power packed at the same time. When you use such an awesome phone, it becomes important for you to provide it with some good protection and additional accessories. 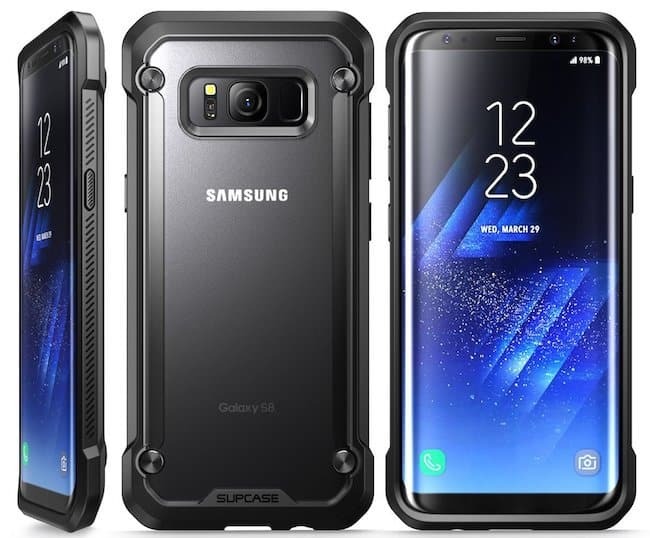 A few days ago, we have compiled a list of best cases for Galaxy S8 and best wireless chargers of Galaxy S8 and some of our readers requested us to come up with a list of best Galaxy S8 Plus cases and covers. So, this article will talk about some of the best cases for Galaxy S8 Plus which will give you best protection features along with styling up your phone at the same time. 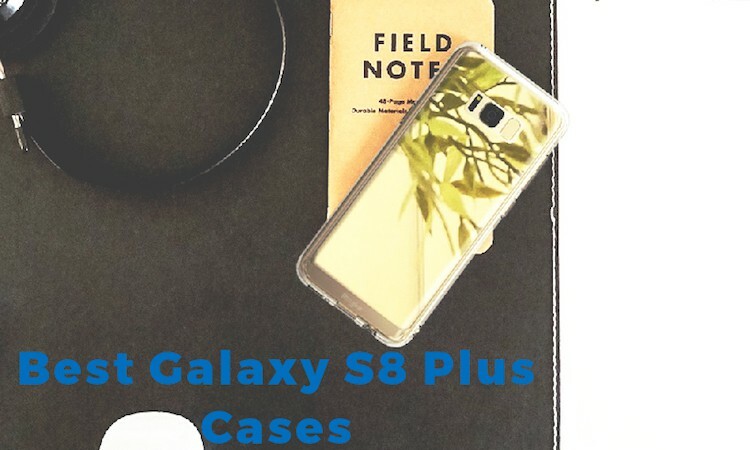 It will also make sure that all the important buttons of the phone are well accessible through these cases thanks to the precisely places cuttings available on these Galaxy S8 Plus cases. Some of them have back stands for better viewing. Let’s not waste time and have a look at some of the best Galaxy S8 Plus cases and covers to give the best protection and styling. 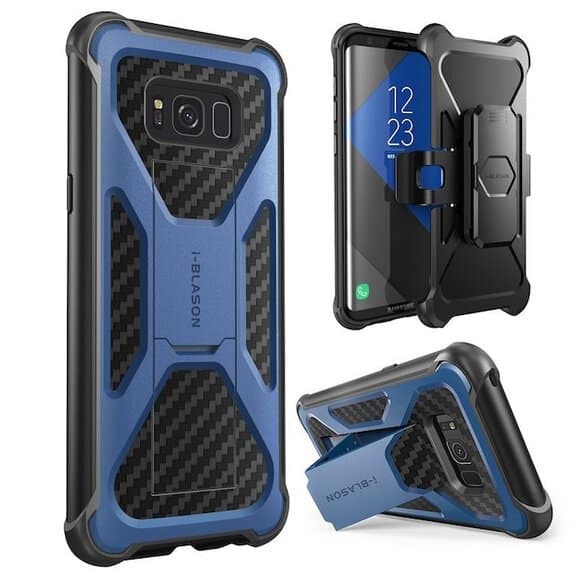 If you are looking for a case that will give complete protection to your Galaxy S8 Plus, as well as flexibility at the same time, then you must look into the Spigen Slim Armor Case. The case provides all round protection to the phone and even prevents damage to the dual camera and super AMOLED screen against flat drops. Spigen Slim Armor Case also provides protection to the responsive buttons which are present on the sides and comes with a kickstand. 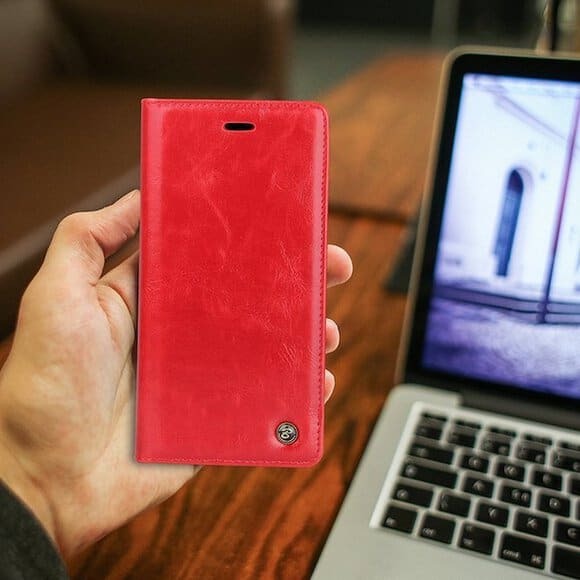 Looking for a case that will give you shock absorption for your phone? Get OtterBox Defender Series Case. The case will keep your phone protected from any harmful surface and comes with a port cover that also keeps the dust out of your phone system. 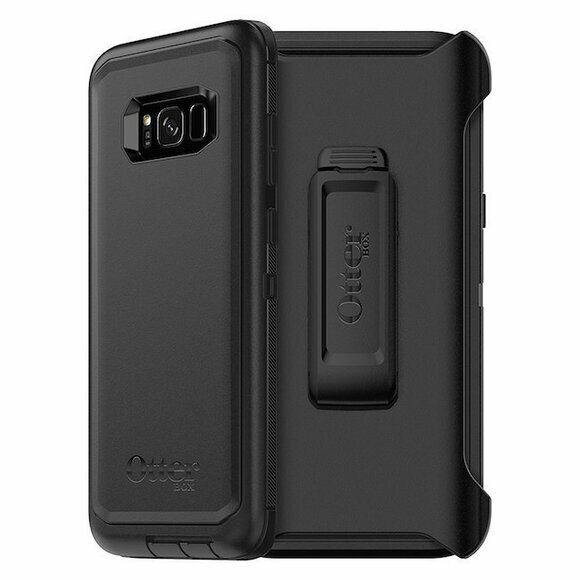 OtterBox Defender Series Case comes with a quad layer which is absent in other common cases which makes this case better for absorbing shock and protecting your phone from the same. It’s available in a number of color schemes. If you are looking for a best Galaxy S8 Plus case that is both unique and tough then try out Supcase Unicorn Beetle Case which will protect your phone from all kinds of danger. Apart from the dual layer which is present in most cases, Supcase Unicorn Beetle Case also consists of textured edges which offer you better gripping power and four air cushioned sides that will protect the phone from shocks by absorbing the shocks. Anti slip grip, raised bezel edges, you name it and it is present in Caseology Parallax Series Case. It is a beautiful geometric case for your Galaxy S8 Plus which fits the phone into it perfectly. The raised bezel edges will protect the phone camera and screen from flat falls and rough surfaces. The anti slip grip prevents the phone from falling from your hand and Caseology Parallax Series Case also consists of protective gear that will help protect your phone against any kind of shock. For the first time, Speck Presidio Grip Case has introduced a case for a phone which doesn’t belong to Apple. 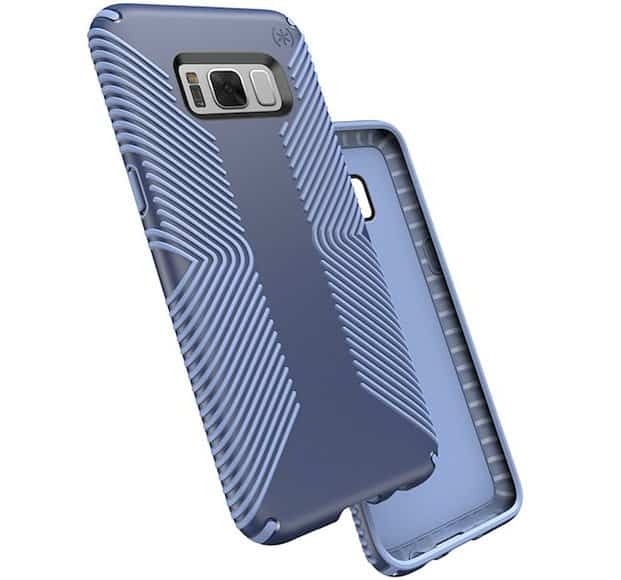 If you are prone to dropping your Galaxy S8 Plus then you are in luck cause Speck Presidio Grip Case provides protection to your phone even when it falls from a height of around ten feet thanks to the shock absorbing material it is made up of. The gripping body prevents fall in the first place. Samsung S-View Flip Cover for Galaxy S8 Plus comes from the house of the manufacturer and hence it has to be the best of the best. It comes in a host of color for you to choose from and brings to you some features which are not available anywhere else. It uses the screen beneath the cover to provide users with a simplified home screen which shows notifications, time and weather. It also allows you to receive or reject phone calls with the cover on. 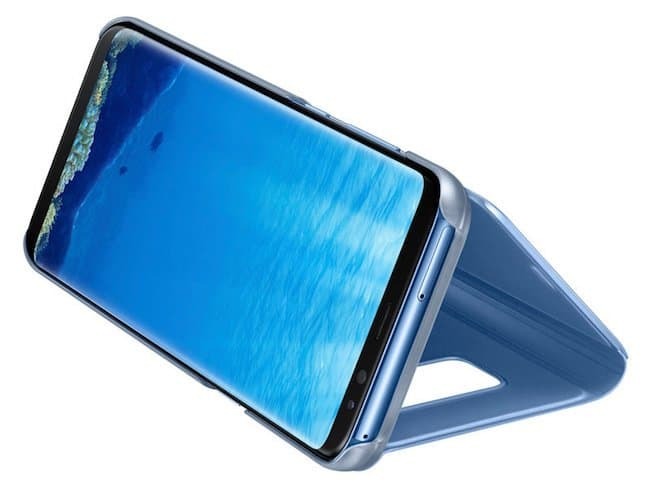 Samsung S-View Flip Cover also comes with a kickstand. If solid colored covers aren’t your thing, then check out the clear case by Peyou Protective Clear Case. 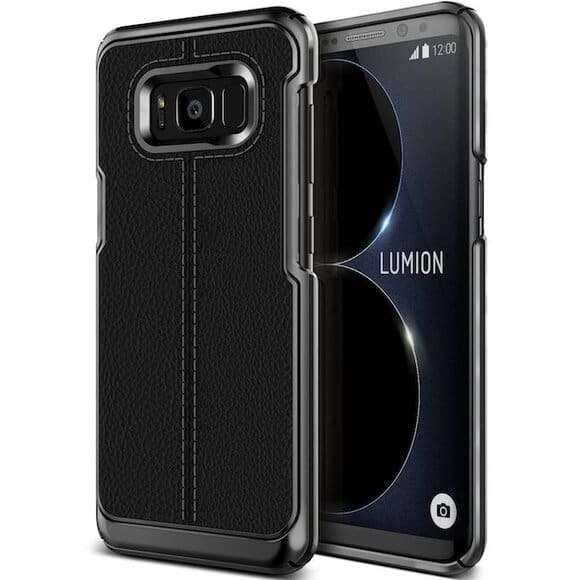 This case reflects the stylish body of your Galaxy S8 Plus and at the same time also protects your phone from all the harms that can come its way. Peyou Protective Clear Case is also very slim and hence makes a very portable option, at the same time provides pretty good protection for your phone from the daily abuses that can come its way. If you are a busy bee, then you need Zizo Bolt Series Case to protect your phone against all the odds that you face each day. Why? Zizo Bolt Series Case comes with multi protection layers and a holster belt clip which is also accompanied by a tempered glass screen to protect the phone against scratches. Zizo Bolt Series Case is a slim cover which provides protection and flexibility to your phone and at the same time makes the setting a portable one. 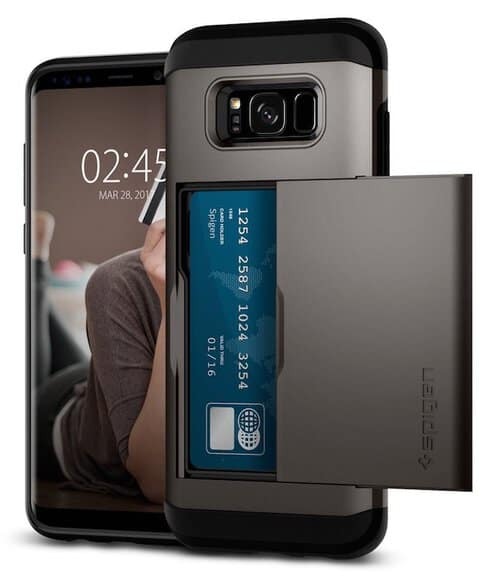 Some people want both style and protection for their Galaxy S8 Plus phone and Belk Protective Wallet Case provides best of both worlds. The stylish PU leather case comes in multiple colors for the customers to choose from and provides ample protection to your precious phone. Belk Protective Wallet Case has a flip cover attached to a magnetic clap which doubles as a back stand that offers better viewing facilities. Since Belk Protective Wallet Case is a wallet case it also has the provision of holding cards. 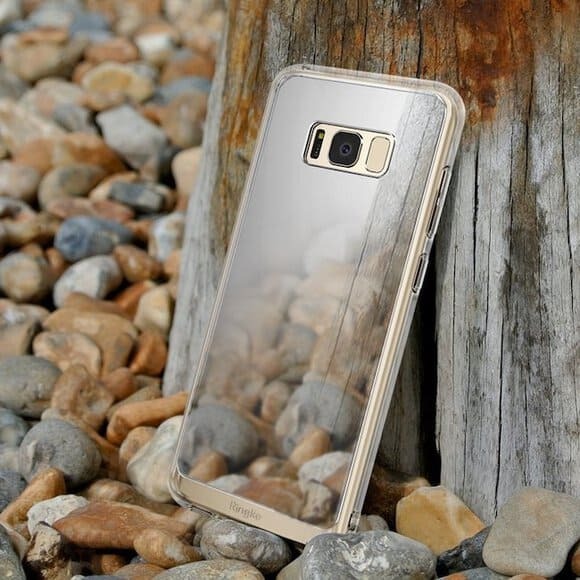 Yet another cool Galaxy S8 Plus transparent case that protects the phone against all the damages that can come its way. 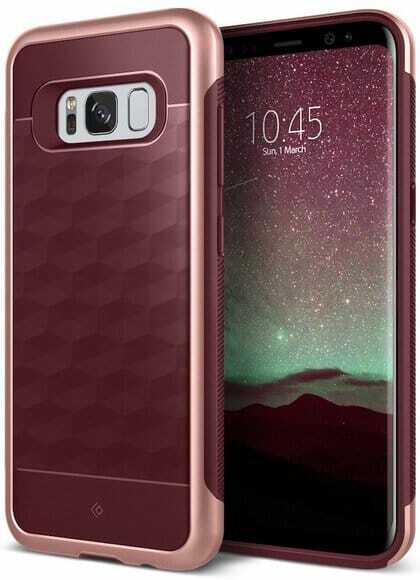 Ringke Fusion Mirror Case is designed to make use of the back of the Galaxy S8 Plus such that it looks like a mirror. All the important buttons available on the phone can be accessed through the Ringke Fusion Mirror Case thanks to the precisely cut holes available. The bezel is just right to protect the phone screen and camera without making it bulky in appearance. Want something more than just a mobile case? Looking for a mobile case that will double as a card holder? Get yourself a Jgoo Leather Wallet Case which will protect your Galaxy S8 Plus and allow you to store your card. 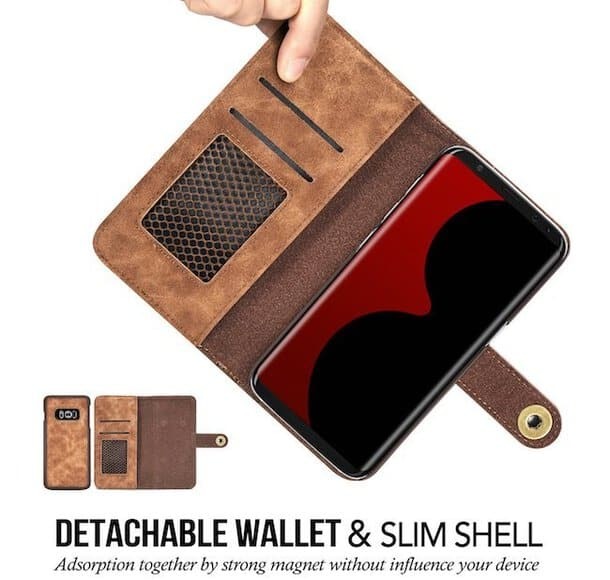 Jgoo Leather Wallet Case comes with an external PU leather case along with a slim polycarbonate inner body that will protect the phone against shock and falls. Jgoo Leather Wallet Case comes in a host of colors variants. An exterior made of PU leather along with a hard polycarbonate framework is all you need to give the best protection to your Galaxy S8 Plus phone. Where will you get this combo? With Lumion Nova Series Case of course. Lumion Nova Series Case comes with the precise cutouts so that you can access the important buttons and provide the phone with cushions on all four sides that will protect the phone from shocks and scratches from daily use of the same. 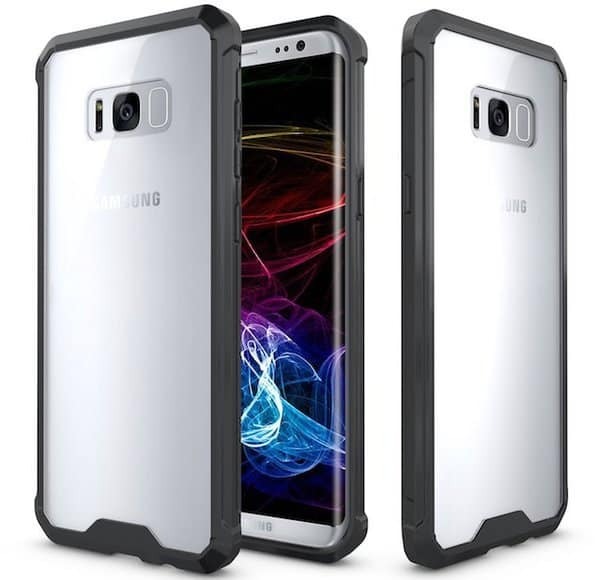 Solid shock absorption at an affordable price is provided by i-Blason Transformer Case to your very own Galaxy S8 plus phone. This is one of the latest cases from the series, which is available along with a back stand which offers better viewing experiences. 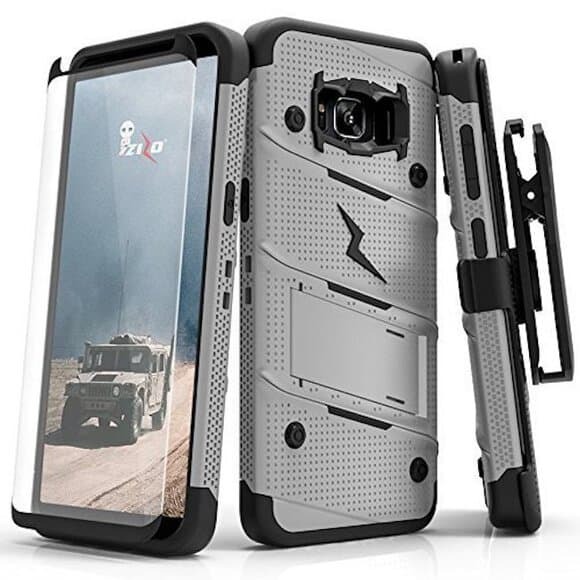 i-Blason Transformer Case is made of a mixture of TPU and PC materials which will protect the Galaxy S8 Plus against all kinds shocks and drops that may occur during daily usage. The belt clip which offers stands are detachable. X-Doria Defense Shield is made to protect your phone from the extreme harms that can come its way. The back cover is made of poly carbon, which provides the phone with protection and shows the stylish exterior of the phone at the same time. The sides or frame of the phone is made up of machined aluminum which will provide the phone with protection against bumps and drops as well as the elevated edges will make the phone screen scratch proof and drop proof. Urban Armor Monarch for Galaxy S8 Plus provides both style and protection to your Galaxy S8 Plus thanks to the vivid colors and extremely tough body. 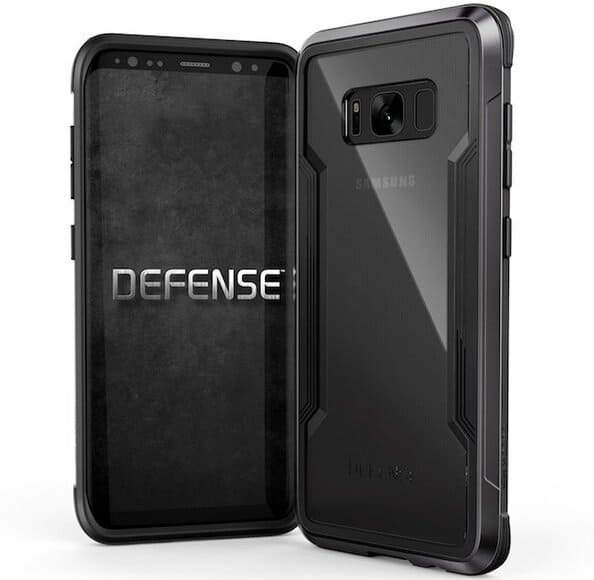 Urban Armor Monarch for Galaxy S8 is a graphite casing along with a metal alloy body that will provide the phone with protection against all the probable harms that will come to the phone. 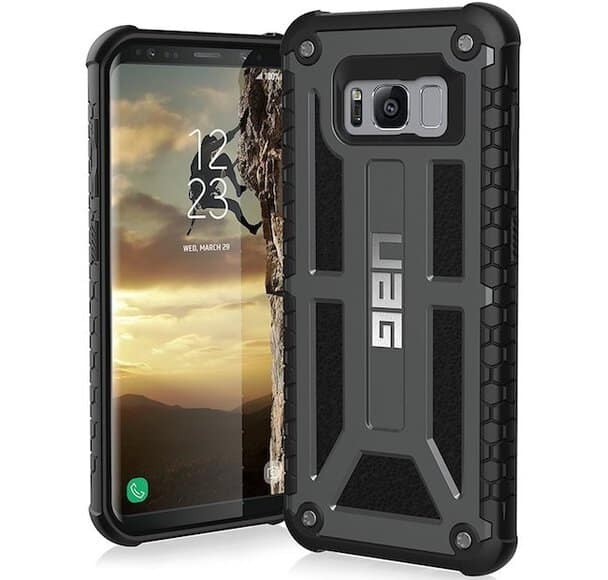 Urban Armor Monarch for Galaxy S8 is also impact resistant and hence will protect the phone against all kinds of shock that it may encounter. These are the best Galaxy S8 Plus cases and cover that will protect the phone against all kinds of harm and make it stylish too. If you are using any other case for your Galaxy S8 Plus, do let us know in the comments section below.